The fortunes of the young male taken into care in mid-July have generated quite a bit of concern, and I’m very pleased to be able to give a positive update. Geoff Mawson had been keeping me informed of the bird’s progress, which was slow but steady. There were no major injuries, but apparent bruising to major flight muscles following what we suspect was a collision with the Jessop Building. By early August it all looked promising for a release, and this was arranged for Saturday 11th August. 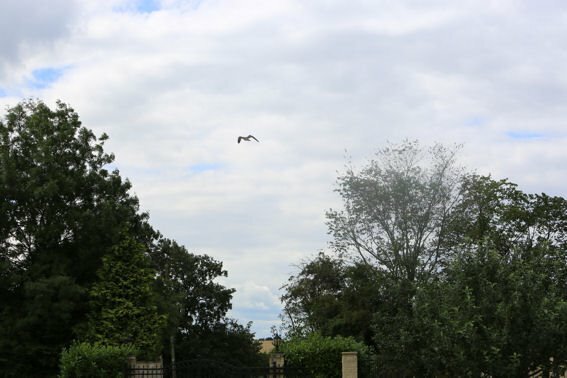 Unfortunately, this was just a few hours before I was to go away on holiday so I wasn’t able to be present, but Geoff sent me the photo below as the young male flew off. Concerns about the amount of traffic in the St George’s area, and potential for injury in a collision with nearby buildings if all did not go to plan, meant that the release did not take place there, but was within sight of the church tower. 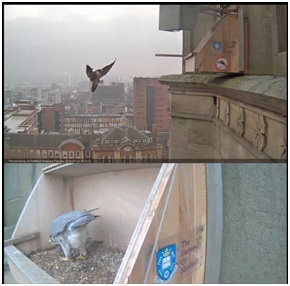 The young male, sporting the BTO ring fitted when it was rescued, flew off strongly towards the city centre and appeared to be fully recovered. 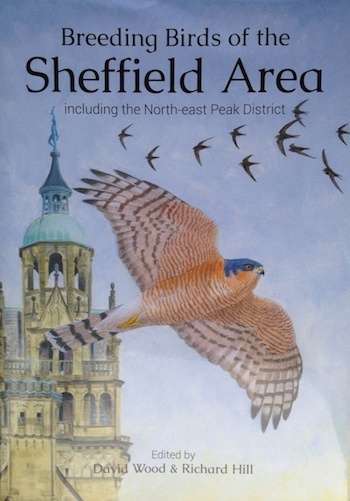 It has not been definitely reported since then, so keep your eyes out for a young male Peregrine around Sheffield with a silver BTO ring and submit any records to SBSG via our website (www.sbsg.org). A big word of thanks to Geoff for coordinating the care and release of the bird, and for making sure that everything happened as it should, including involvement of the local police at the release of a species protected by law. With an eye on what we hope will be a return to the site next spring, various interested parties will be getting together to make sure that everything is in place for another breeding attempt, which we all hope will be as successful as this year’s.